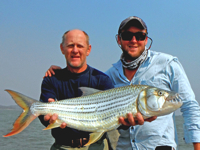 Have you ever dreamed of fishing the mighty Zambezi River for world class tiger fish? 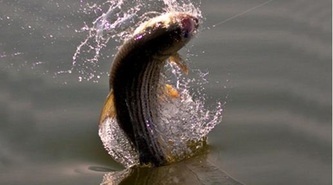 In your mind have you seen your fly or lure touch the water and sink slowly? After a breath you start to take up the slack and suddenly you feel the tiger strike as you set the hook. 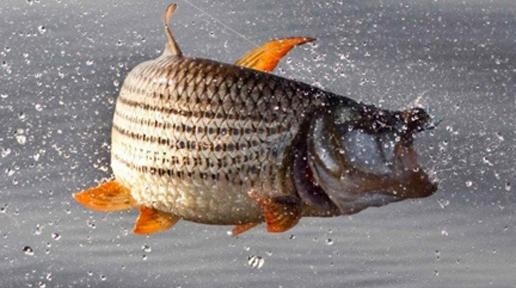 If you are looking for the fight of your life with tigers or the numerous other fish species in the Zambezi River then Chawalo Safari Lodge, is the destination for you. 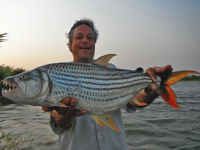 That is if you want to fish where 10lb tiger are the norm and 18lb + tigers are not uncommon. Our camp record is 23.15 pounds taken in August 2010. 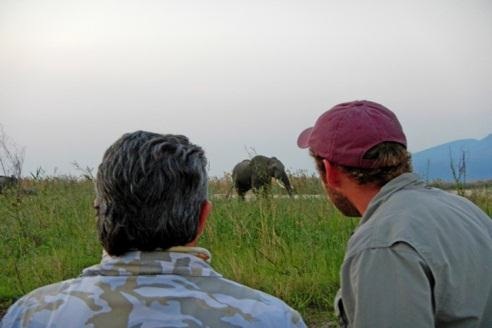 Why is Chawalo Safaris a preferred destination? 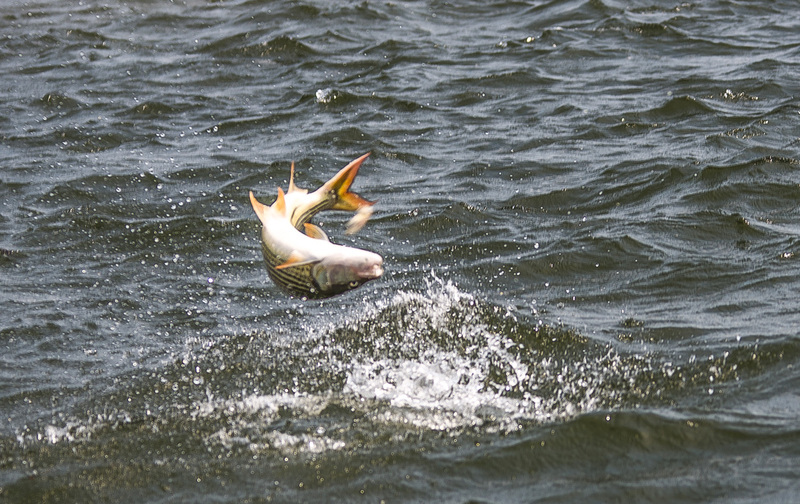 We utilize prime fishing waters that run from the confluence of the Luangwa and Zambezi Rivers on the Zambian border; through the headwaters of Lake Cahorra Bassa and into the lake, offering both fast and calm water fishing. 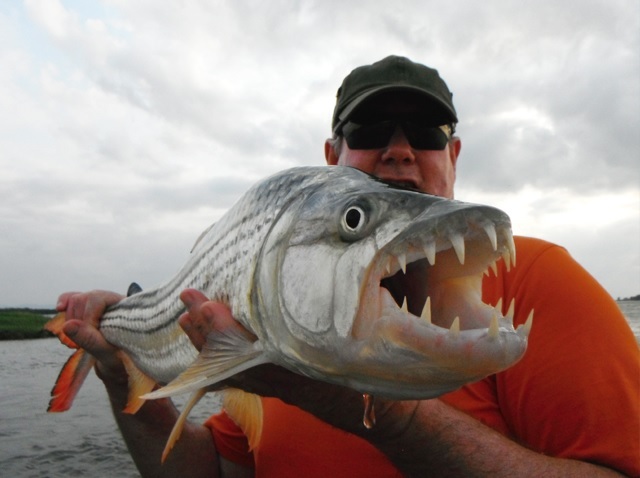 The numerous islands form exciting channels where monster tiger hunt for bait fish, coming off the floodplains and out the lagoons. 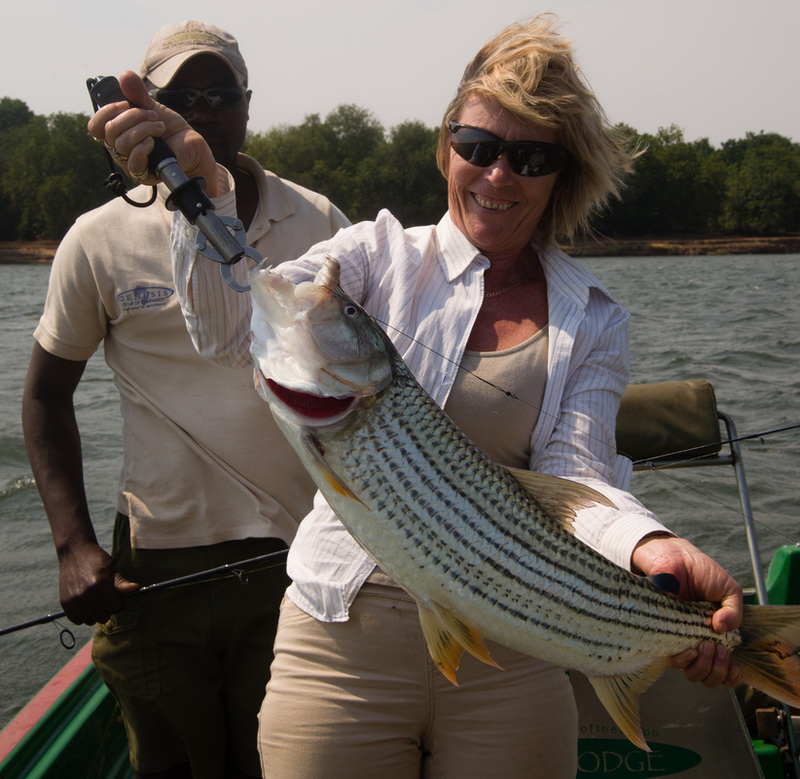 At Chawalo Safaris, we employ the best guides and equipment to ensure that you have every opportunity to realize your expectations, whether you are a fly- or a conventional fisherman. We can accommodate 12 fly fisherman or 18 conventional fishermen per week. Chawalo Safaris offers fishing packages from May – November. Big tigers can strike at any time! 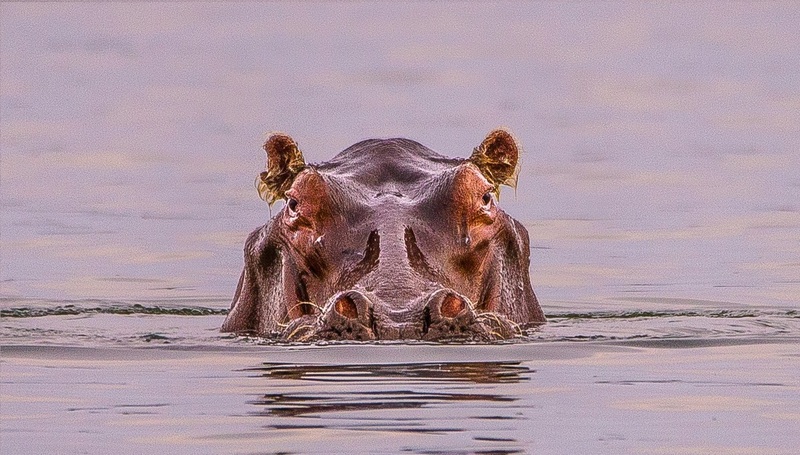 After a full days fishing and watching elephants bathing and drinking; hippo’s frolicking and crocodiles basking in the sun, you will welcome the comforts of Chawalo Lodge where you will receive exceptional lodging and cuisine. At night as you set around the fire with an adult beverage discussing the events of the day with friends, you could hear lions roaring and hyena’s laughing in the distance. Stretching out in bed, you will only dream of what tomorrow will bring in the hopes the big one will not get away! 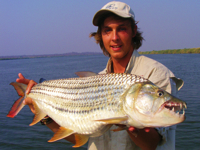 From its humble beginnings in 2004, Chawalo Safari Lodge has been developed into a prime destination for discerning sport fisherman. 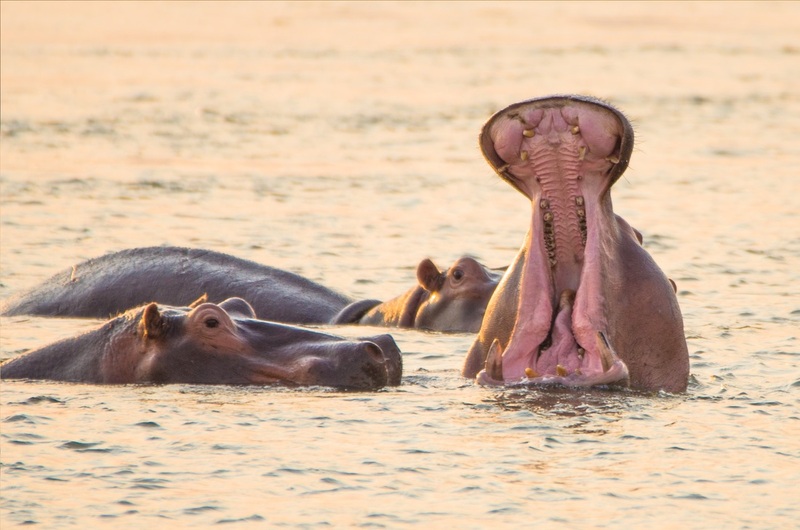 Nestled on the northern bank of the Zambezi River, under an ancient Baobab Tree, the facilities have been carefully placed to afford guests a breath-taking view over the Zambezi and the amazing fauna and flora that make this wilderness their home. The main complex consists of a dining room, where meals are served in a buffet style. On the side is a lounge area with a small library. The elevated bar, was designed with the exquisite vista to the west, the main attraction at sunset. Drinks can be enjoyed and the all-important Rugby games watched on the flat screen. In the shade of a magnificent Natal Mahogany tree, is a fireplace and pool deck, where refreshments can be enjoyed in the company of friends. In the summer months the swimming pool provides a welcome escape from the African sun. Nine fully serviced chalets make up the guest accommodation. Rooms sleep two, but can accommodate up to four, on request. All rooms have on-suite bathrooms, with hot and cold water showers. Windows are mosquito proofed, with gauze. Power is supplied to the units via 1200W inverters, running off a 24V system, charged by Solar panels and a diesel generator. All rooms have 220V outlets for charging cameras, laptops or cell phones. 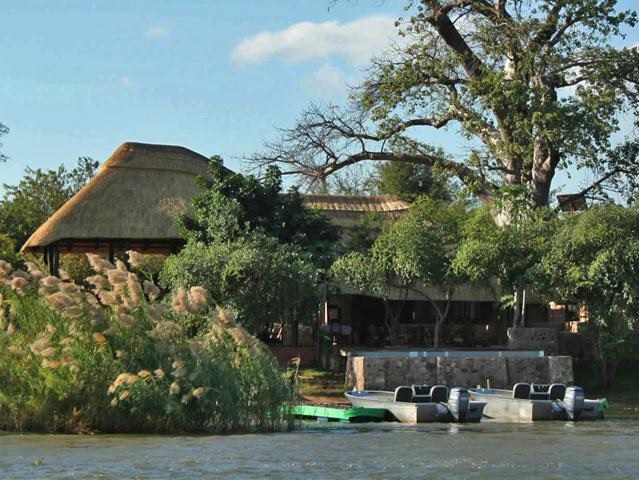 Chawalo Safari Lodge is situated on the northern bank of the Zambezi River. It lies 15km east (downstream) from the district capital of Zumbo, in the Tete province, of Mozambique. 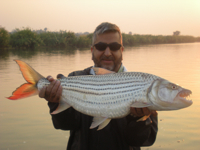 This area is also known as the Lower Zambezi Valley and it runs into the Cahorra Bassa Basin. Zumbo is on the eastern side of the confluence of the Zambezi and the Luangwa Rivers. On the western side is the town of Luangwa Feira, in Zambia. Across the Zambezi on the south bank is the village of Kanyemba, in Zimbabwe. The Luangwa River forms the Western boundary of Mozambique, with Zambia. From the confluence, Cahorra Bassa opens up into an amazing expance of water about 25km downstream. 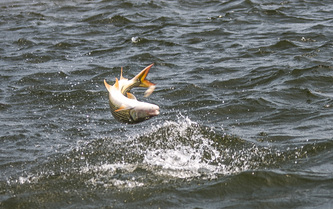 We are fortunate to have only small distances to travel on daily fishing expeditions (most of our fishing is conducted within 15km from camp) and no long boat rides are necessary. This adds fishing time on the water and keeps fuel costs down. Guests generally depart from the lodge to the guide’s preferred spot at first light, after a cup of coffee, rusks and cereal. We supply a light packed snack and a cooler box of preferred refreshments, to tie the guest over to brunch, served at the main lodge at around 11:30am. From around three in the afternoon, the boats depart for the afternoon fishing session. All boats return at last light. We run four aluminium boats, by Aliboats in Maun and three conventional fibre glass boats. The fibre boats are 17,5 footers and run 90hp, two stroke, Yamaha outboards. We boast three 17,8 foot Pikes, with specially designed fishing decks. We received input from professional fly fishing guides, Arno Matthee and Paul Boyers, while designing our deck configuration. Our fourth Aliboat is a 18,5 foot Orca, with a deck layout ideal for conventional fisherman. All four these craft are powered by 100hp, four stroke, fuel injected motors, by Yamaha. We can accommodate up to twelve fly fishermen with two anglers per boat and up to eighteen conventional spinning guests at three per boat. 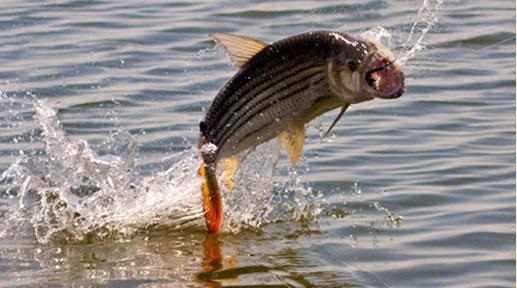 With our modern equipment and knowledgeable local guides, we offer an unforgettable fishing experience. The current camp record Tiger is 23 lbs, taken on the 16th of August 2010. During the 2011 season 19 Tiger Fish over 15 pounds were recorded by our clients. 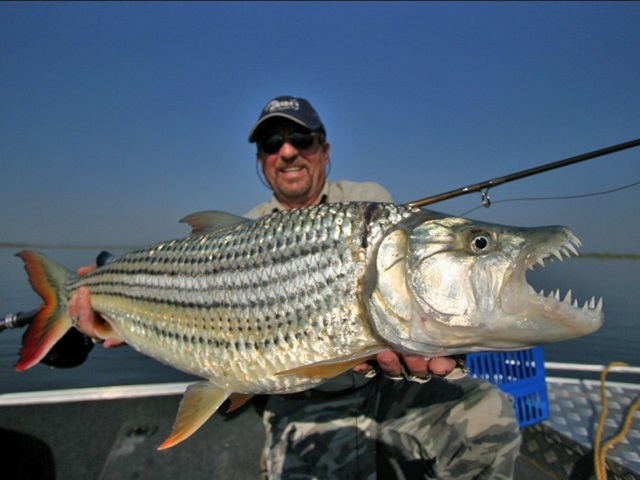 The top fish was a 20 pounder taken by Eddy Matthee on a Red Tiger Wakka and Fred Wittstock landed an 18 pound 4 ounce on the 24th of September 2011. Our clients have landed 18 pound plus Tigers in July, August, September and October. Our guests typically arrive trough Lusaka International Airport, in Zambia, at 8:35am, on a Friday. They take the 6:35am flight from JHB, with SA Airlink. From Lusaka a charter flight is scheduled to Luangwa Feira, still in Zambia. It is of the utmost importance to note that all non SADEC passport holders, must acquire a DOUBLE ENTRY VISA into Zambia, upon arrival in Lusaka. All SADEC passport holders are to stamp into Zambia, at Immigration, as they are taking a domestic flight to Luangwa Feira. After paying their Domestic Departure Tax ($15), at the tax desk, adjacent to the Domestic Departure Gate, they board the charter for Luangwa Feira. At Luangwa Feira, a Chawalo Safaris representative will collect clients at the airstrip and proceed to Zambian Immigration, for their departure stamp from Zambia. 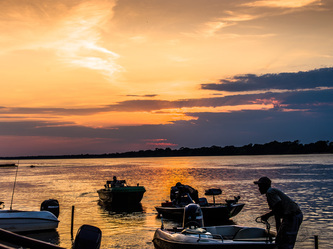 From there they board our boats for the crossing of the Luangwa River and into the Zambezi, down to Zumbo, as the port of entry into Mozambique. Once again, all non-SADEC passports are to have a Mozambican VISA in their passport, before arrival, from their country of residence, as no VISA facility is available in Zumbo. After collecting and verifying their entry stamps in Zumbo (please add 5 extra days to the duration of the intended stay) clients proceed to Chawalo Safaris Lodge, by boat, down the Zambezi. After the safari, the same procedure is required, with visits to both Mozambique and Zambia Immigration. The charter departs again for Lusaka from Luangwa Feira, on Friday at 10:30am, to have clients connect back to JHB from Lusaka at 13:30pm. To drive from JHB, please consult a GPS to the following markers. Please note that we are in a Malaria area and consultation with your GP is essential before departure from your home country. Yellow Fever inoculation cards are compulsory for re-entry in JHB International, from Lusaka Airport. Cell phone reception is available at the lodge on MTN-Zambia, Econet-Zimbabwe or MCel-Mozambique. We offer internet access at request. From $1800.00 All inclusive for 7 days, ex Lusaka. 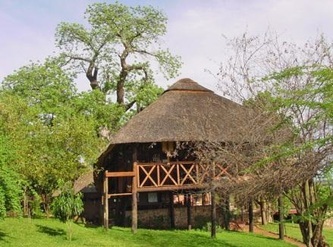 At Chawalo Safaris we offer a 7-night all inclusive package. Clients arrive on a Friday and depart again the next Friday, through Lusaka International Airport. 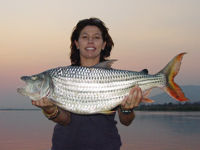 The rate includes the boat hire, boat fuel, fishing guide and bait for conventional fishing. A cooler box with refreshments and a light snack is also included. All meals, soft drinks, bottled water and local beer are included. All lodging and housekeeping services are included, with daily laundry service. Hard tack (alcohol) and wine is for the client’s account. We carry limited stock and this is available at replacement value from either Tete or Lusaka. We encourage patrons to carry their preferred fire water and wine, as checked luggage or from Duty Free at OR Tambo. With prior arrangement, we can have speciality mixes in stock. Transfers from Lusaka are charged separately and vary from $250 to $300 per person, return, depending on the group size and the plane required. Daily rates are $255.00 per person, to total the average 7-night package to $1800.00, per person, including the charter from Lusaka to Luangwa.